Great looking rug! The colors go perfectly with my sofa - I can't be happier! Great rug for the price, i only with i had a bigger house so I could buy more. The alluring textures and warm vintage colors of the Genesis Collection will complement and enhance any style of décor. This collection features a vintage distressed Grey main field, highlighted by accent color of Cream. Made of power-loomed polypropylene, this rug is virtually non-shedding, latex free, and is able to withstand high-traffic areas. Its medium cut pile height of .25 inches allows for seamless placement under furniture and in entryways. Ships with a sturdy core insert to ensure your rug arrives in perfect, un-creased condition. 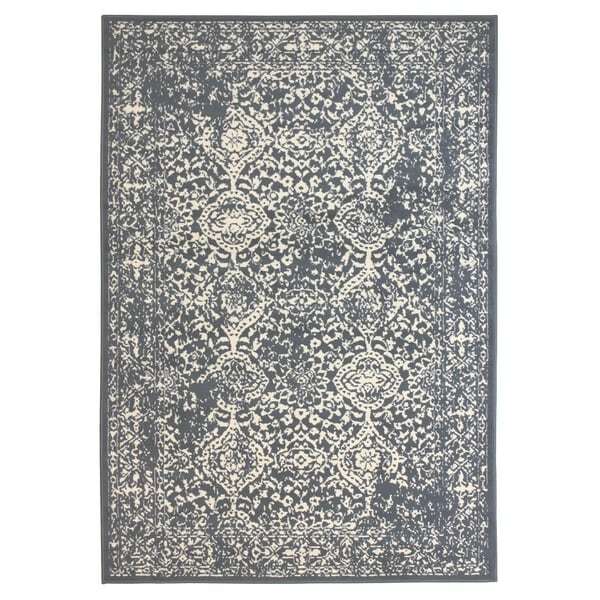 Abbas Navy & Gray Vintage Traditional Area Rug - 7'10" x 10'3"